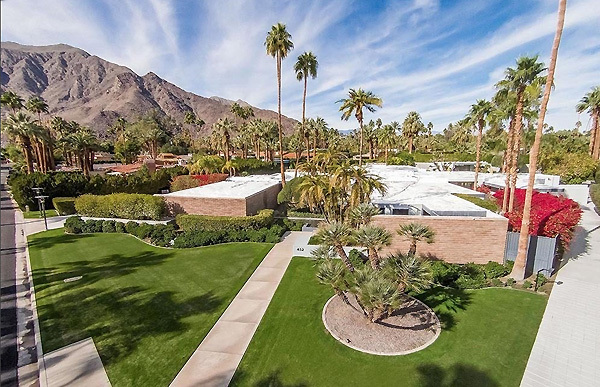 The 1964 residence was designed by architect Donald Wexler for singer/actress Dinah Shore (namesake of the Coachella Valley's number-one-ranked course for golf). Renovated before DiCaprio bought it, the 7,022-square-foot main house has six bedrooms and seven and a half bathrooms, and is surrounded by incredible grounds featuring a statement swimming pool, tennis courts, and a one-bedroom guest "casita." In all, the property totals 1.34 acres of private chillout space. Renters get free WiFi and daily maid service, which they absolutely should for $4,500 a night.